Mars has launched a new Maltesers-inspired chocolate bar in Australia. The Maltesers ‘Teasers’ bar consists of milk chocolate mixed in with small pieces of the biscuit found in regular Maltesers. 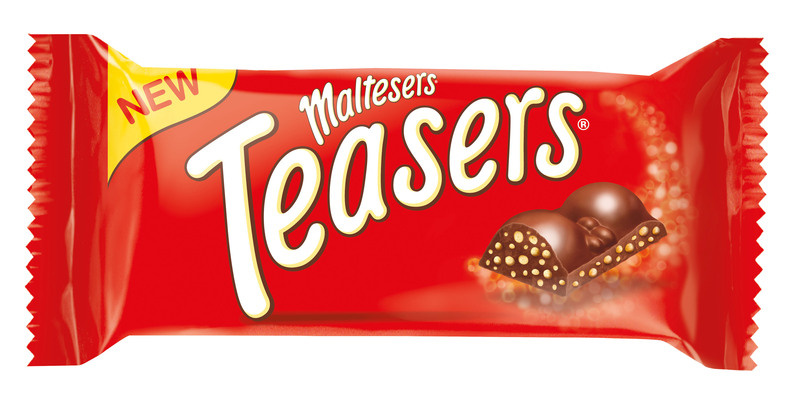 The Teasers bar is sectioned into bubble shaped pieces and has been compared to the Maltesers offering in the Mars Celebrations mix box. Despite only just launching in Australia, the bar has been sold in the UK since 2013. When introduced to the UK, Mars said it wanted to intensify the amount of chocolate but still provide a Maltesers taste. Mars’ Maltesers ‘Teasers’ chocolate bar is now available at supermarkets and other confectionery retailers. The recommended retail price is $2.00 for a 35 gm bar. Baskin-Robbins Australia are relaunching its ice cream cake range.